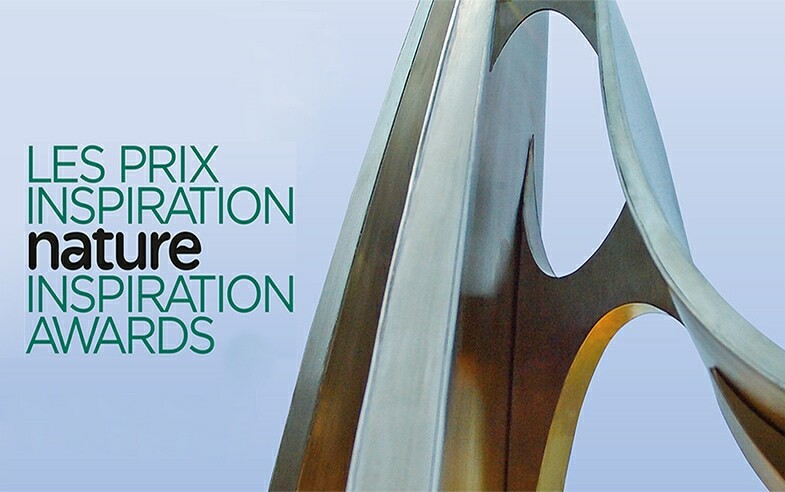 SK Films (SK) is proud to be named as the 2016 recipient of the Nature Inspiration Awards for Best Canadian Business. 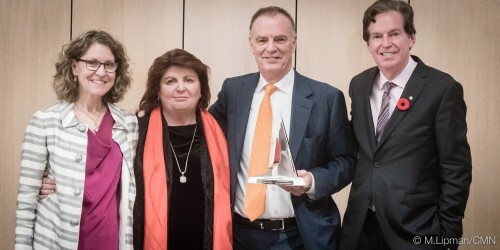 This prestigious award was presented to CEO, Jonathan Barker and Executive Vice-President, Wendy MacKeigan in Ottawa last night for their excellence in natural history programming and for the supporting multi-platform educational outreach campaigns, with a specific focus on local engagement. The Nature Inspiration Awards, presented by the Canadian Museum of Nature, recognize individuals and organizations that, through their work or specific projects, encourage Canadians to take an interest in natural history, create links with nature and contribute to its preservation. SK Films’ projects range in scope from their award winning eco adventure series – The Water Brothers to acclaimed and inspiring Giant Screen/IMAX® releases such as Flight of the Butterflies (2012) and its upcoming release, Amazon Adventure (April 2017). 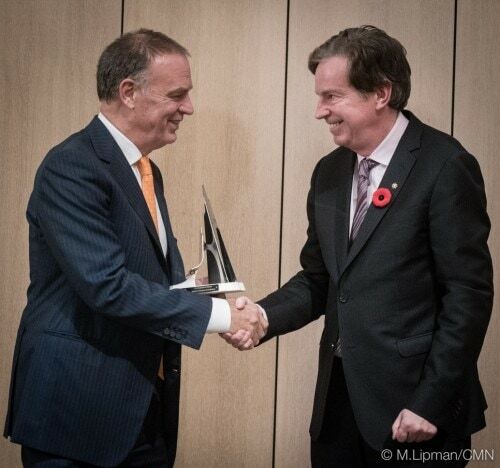 Jonathan Barker, CEO at SK Films, accepting the award from John Geiger, CEO Royal Canadian Geographic Society. Meg Beckel, President and CEO of the Canadian Museum of Nature, Wendy MacKeigan, Executive VP at SK Films, Jonathan Barker, CEO at SK Films, and John Geiger, CEO Royal Canadian Geographic Society.